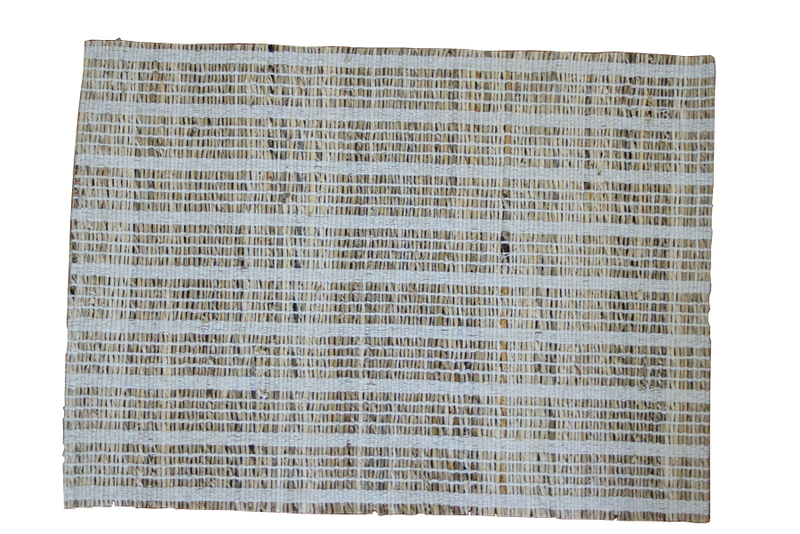 Hand twisted banana fiber rope is tightly woven in handlooms to create these refreshing and unique table mats. Made using traditional handlooms, each piece is handmade with love. These products are craft inspired contemporary designs made using natural, sustainable and renewable materials for smart and responsible living. Our products carry the prestigious Craftmark certification awarded to genuine handcrafted products that help conserve distinctive craft traditions and secure the livelihoods of rural artisans. We also run one-of-its kind rural design studio developing contemporary designs by a team of professional designers engaged in co-creation with experienced artisans. The handcrafted touch of artisan skill creates variations in color, size and design. If buying two of the same item, slight differences should be expected. Note: Color discrepancies may occur between this product and your computer screen. 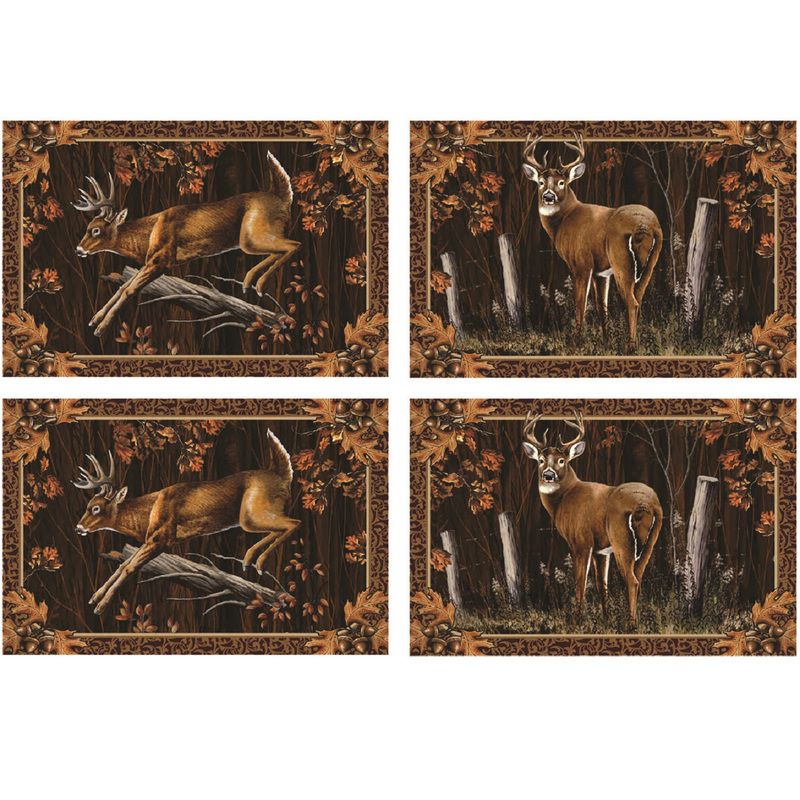 Rivers Edge Deer Placemat Set includes (4) 18"x12" cotton jacquard placemats featuring great looking licensed art from JQ Licensing. The deer set includes 2 each of 2 different designs. Placemats are 65% polyester and 35% cotton and packaged in clear boxed. Check out the Deer Table runner. 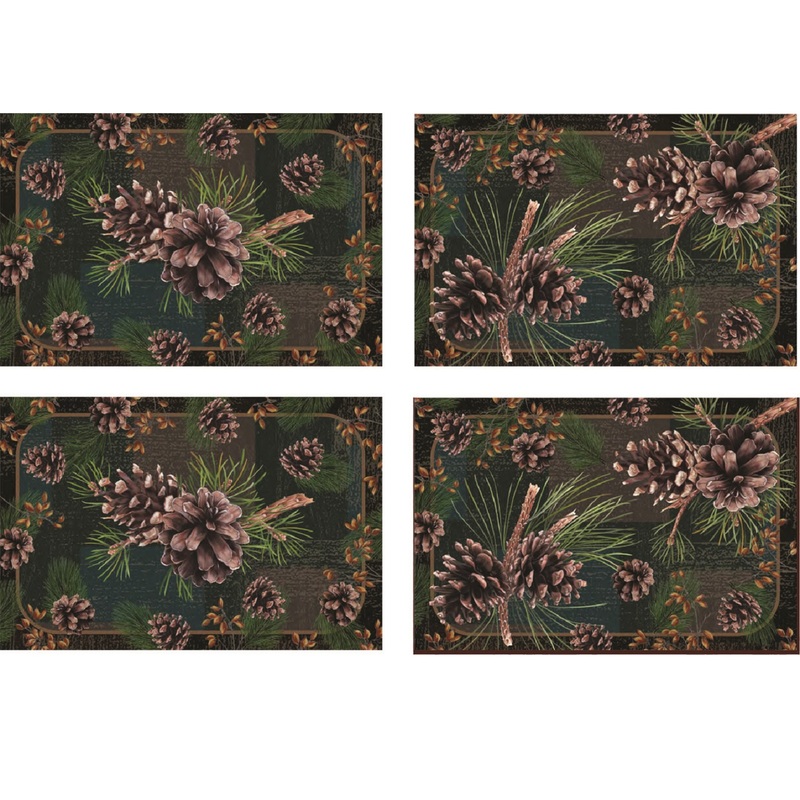 Rivers Edge Pinecones Placemat Set includes (4) 18"x12" cotton jacquard placemats featuring great looking licensed art from JQ Licensing. Placemats are 65% polyester and 35% cotton and packaged in a clear box. Check out the Pinecones Table runner and drying mat. 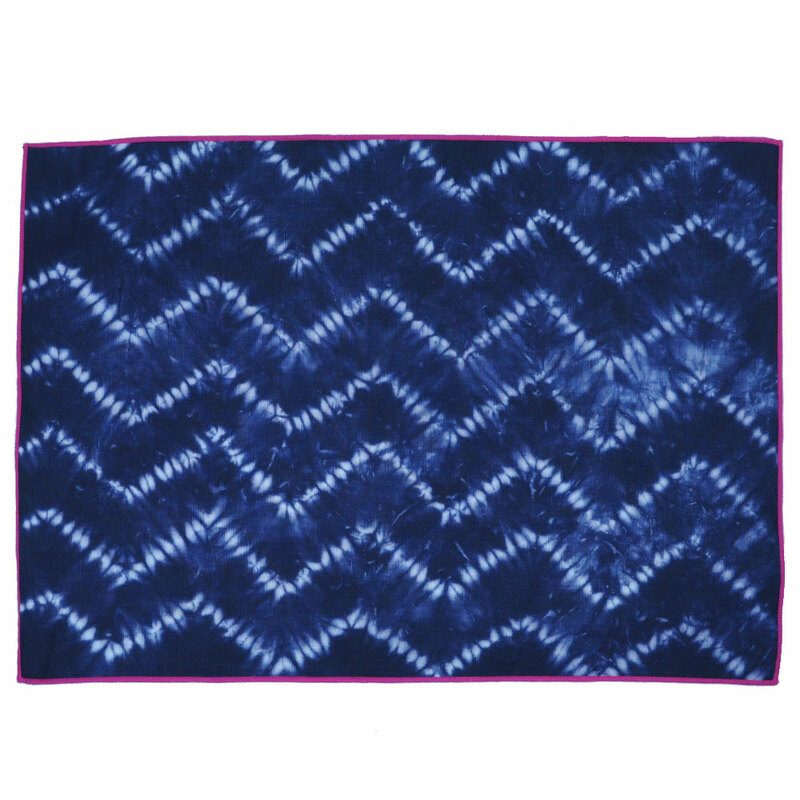 CALYZ HANDMADE AND HAND DYED� PLACEMATS SET OF 4� INDIGO CHEVRON� HWCZ003 These expertly handmade placemats come to you straight from women artisans in India. The cotton and linen fabric is high-quality and easy to clean, and the stunning hand-dyed indigo color, eye-catching chevron pattern, and bright magenta stitching are sure to bring extra excitement to your dining room table. Match them with our Indigo Chevron Napkins for a complete dining room set. CALYZ HANDMADE AND HAND DYED PLACEMATS SET OF 4� PINK OMBRE� HWCZ0062 These placemats are handmade and hand-dyed by women artisans in India. 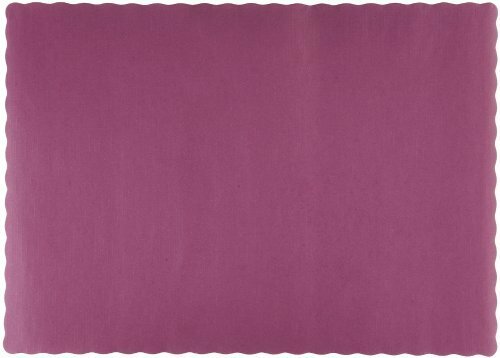 The cotton and linen fabric is high-quality and easy to clean, and the stunning magenta-and-white ombre effect and stitching detail are sure to bring extra style and excitement to your dining room table. 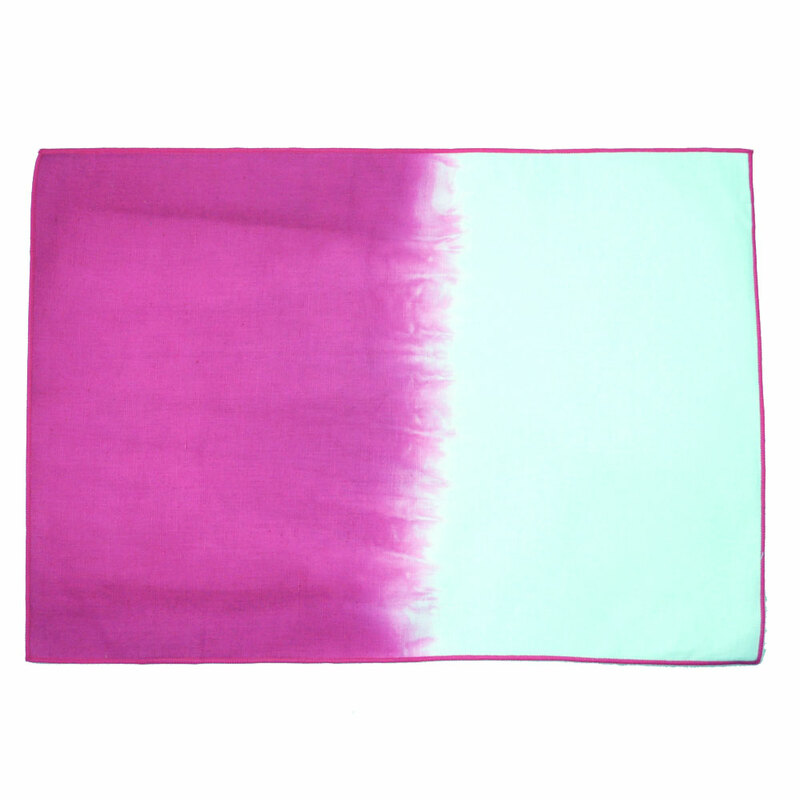 Match them with our Pink Ombre Napkins for a complete dining room set. Made of Decofoam plastic, these two-sided placemats feature beautiful graphics and vibrant colors. The unique reversible feature provides the consumer two coordinating designs in one placemat. Easy to clean and store, these placemats are sold individually. Placemat size: 17 1/8 x 11 1/4. Our beautiful line of double-sided paper coasters that easily coordinate with any cocktailing display. Glass vial replacement for VRG1 & VRG2. 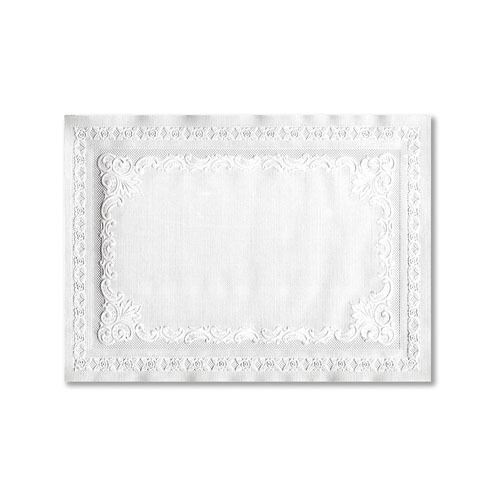 Elegant placemat adds a touch of class to your table. Provides a stylish, clean look in addition to protecting the surface from stains, marks or scratches. Reduces exposure to surface germs. 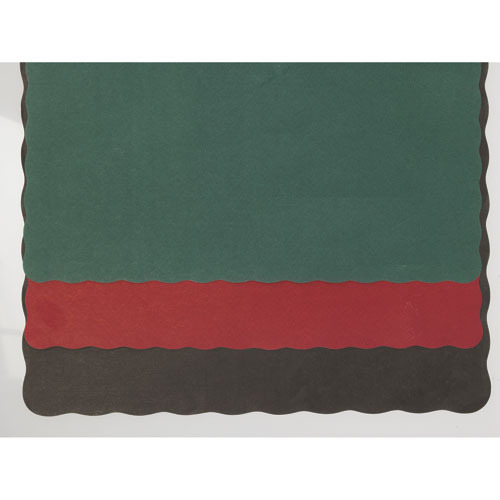 Mat Type: Placemat; Application: Tabletops; Material(s): Paper; Style: Scalloped Edges. Place warm tea or coffee mug on mat to releaase aromatic scent. Protects table top. Filled with real spices. Renew scent with a few good rolls with your rolling pin. Spot clean. Packaged in an attractive gift box tied with a ribbon. Size 5 in. x 5 in. Water Logged coasters protect your table while bringing in the appeal of the outdoors. 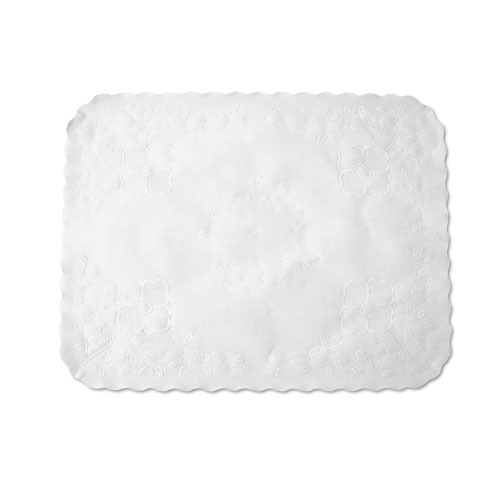 12 thick, multi-ply paperboard coasters, packaged in a clear peggable PET display box. One 27 inch x 30 inch 100% cotton flour sack towel. 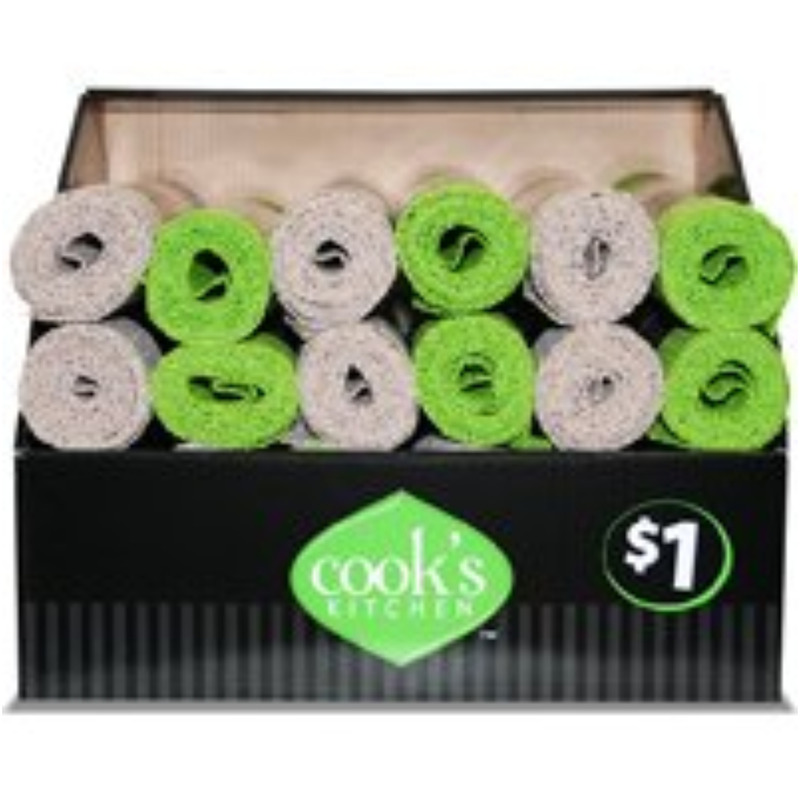 They are soft, lint free, highly absorbent, and quick drying. The perfect alternative to paper towels. Guaranteed to be your favorite kitchen accessory! Machine washable. Unpackaged.